2013 was a momentous year for home design. Passive house (or “passivhaus”) was a major trend this year, with numerous projects showcasing their commitment to sustainability. Below is a list of the top ten homes we looked at this year. Most of the projects we picked demonstrated thoughtful design in some capacity or another. After three generations of living in the same home, a couple transformed their home into an airy minimalist gem. To maximize privacy while still maintaining openness and natural light, translucent doors were installed. 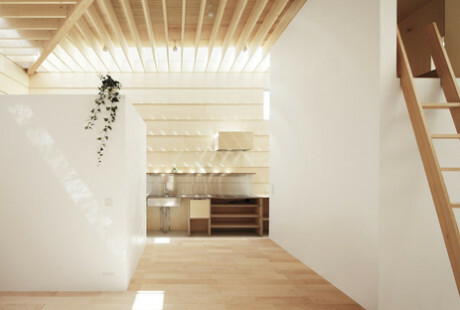 A central light well draws sunlight into the home, illuminating custom plywood furniture and pale hardwood floors. Yellow and turquoise accents liven up this otherwise monochromatic space. 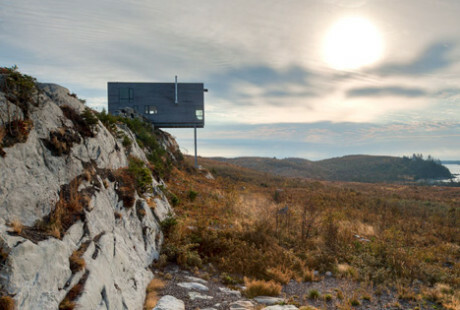 While not exactly a cliff, this home juts out precariously over a rock face and features unrestricted views of the Atlantic Ocean. 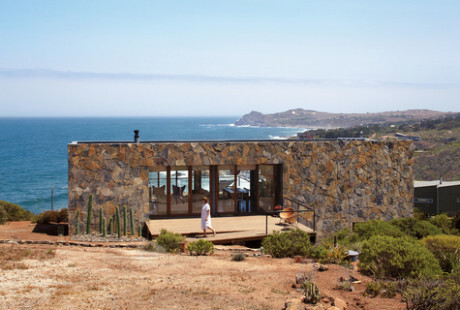 The Cliff House was built on a low budget and utilizes features and building techniques that allow it to withstand a harsh maritime climate. 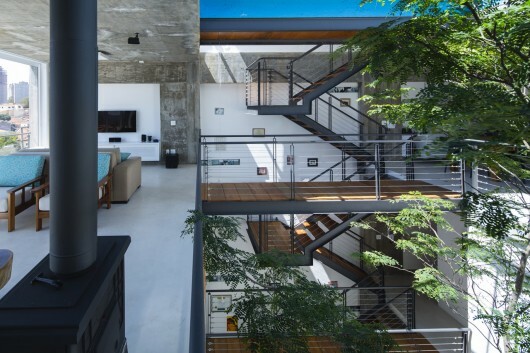 The interior is sparse and characterized by exposed steel beams. It doesn’t embody thoughtful design in its purest definition, but the Light Walls House earned a top spot on our list for its creativity and beauty. 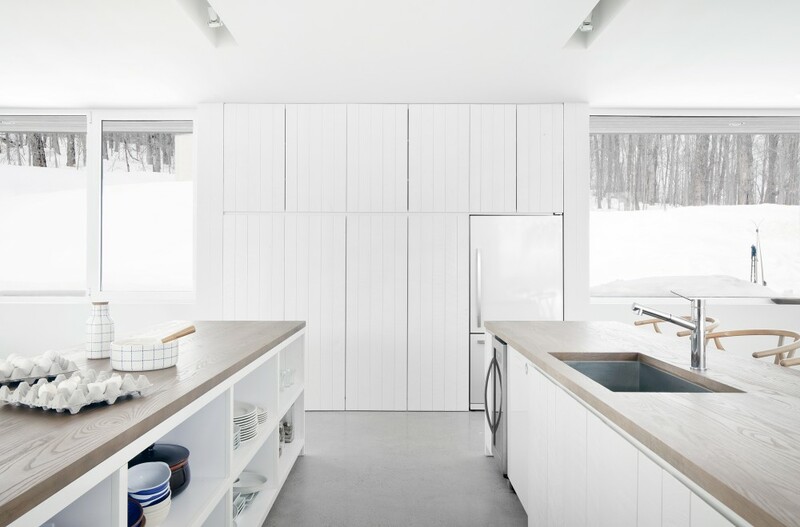 While the home features few connections to the outdoors, skylights ringing the ceiling illuminate the interior all day long. The design of the walls and ceiling directs sunlight in a uniform manner. 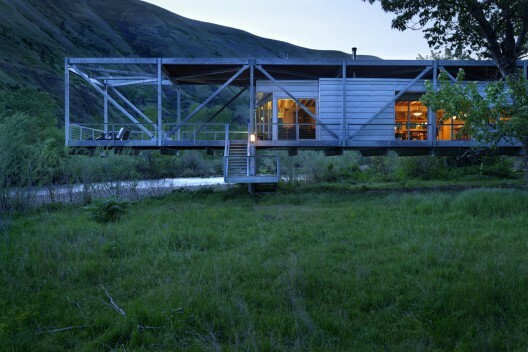 A former vineyard in a river valley prone to flooding and infested with snakes was the site for this thoughtfully designed home. Concrete piers raise the structure and keep the home safe from high water and any pesky wildlife. Three compartments, or wings, make up the house and were completed with their own heating and cooling systems. The entire structure was bolted together, so if the need arose, the home could be taken apart and moved to another site. When you think of winter, you probably think of snow before anything else. 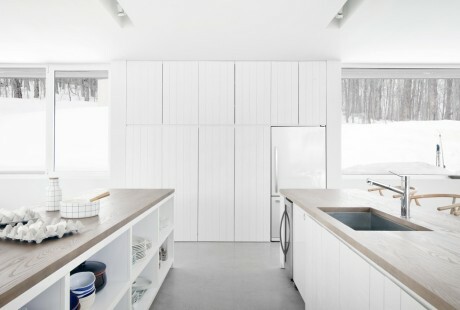 Enter a home ready-made for the snowy season, both aesthetically and functionally. White cedar that will transition over time to gray covers the house. 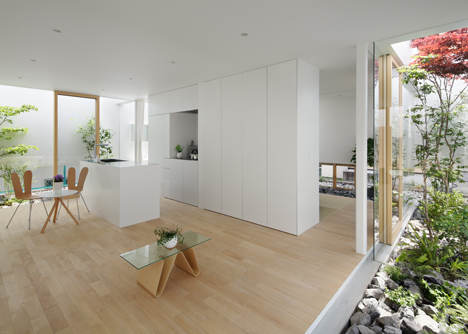 The interior’s white walls disperse natural light throughout an open-plan space. Our next pick comes to us from warmer climes and was built on a slope amidst a lush tropical forest. 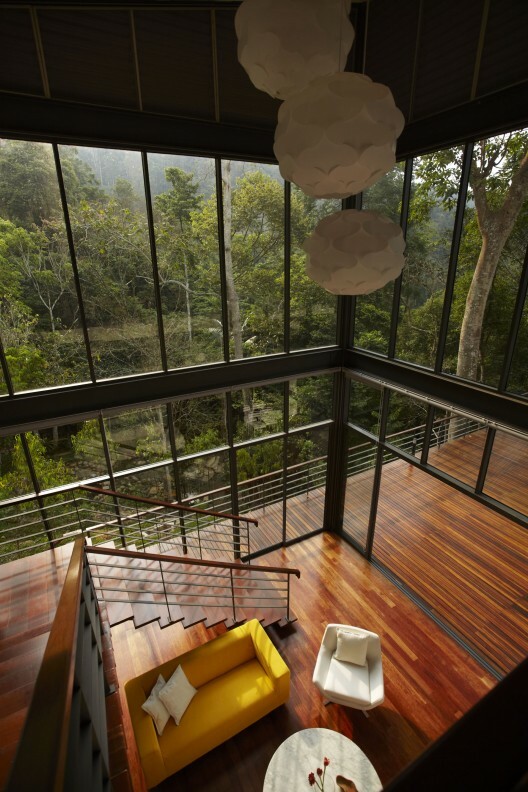 The main living area connects directly with an expansive timber deck that provides unobstructed views of the jungle. Tall windows illuminate almost every corner of this home. Stack ventilation is thoughtfully designed to naturally cool the space. An open-air staircase mixes functionality and utility in this Sao Paulo home. The architects mixed a variety of different materials such as salvaged wood and brick, gravel and iron. 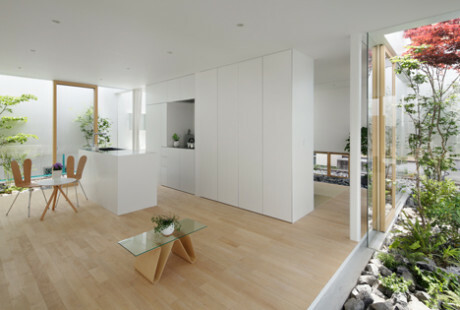 Ventilation and natural light are maximized in this airy design. 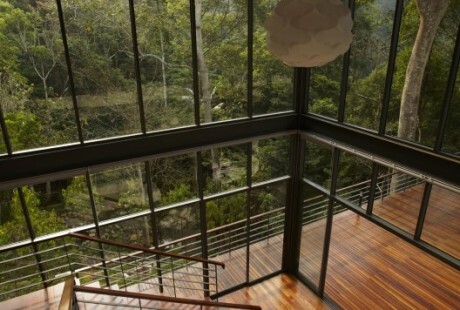 Another entry from mA-style, this design surrounds the home with glass only to obstruct views with a floating wall. 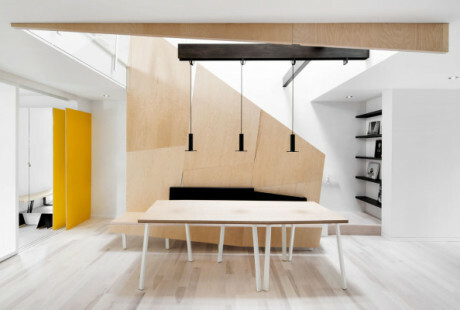 This levitating perimeter acts as a light well, illuminating the home’s interior from every angle. A rock garden provides foliage and natural elements. 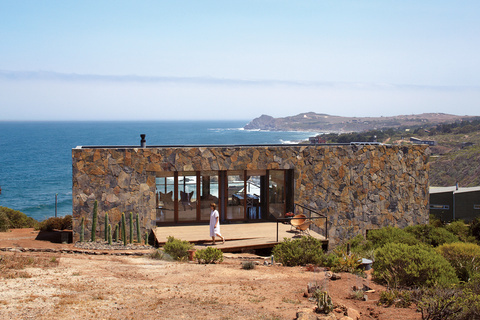 Aside from its sweeping vistas and eclectic style, we chose this home for its commitment to passive strategies. A thermal mass wall provides insulation, while solar panels generate sustainable electricity. Cross ventilation cools an interior featuring exposed wooden beams and dark hardwood floors. DIY projects don’t get any bigger than this. 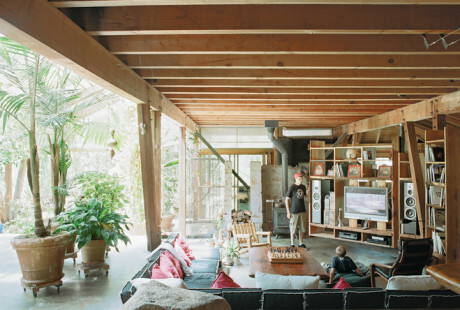 Architect Ken Meffan and his family built their custom home with second-hand components and creative experimentation. The walls were made of clay sourced directly from the site and were given structure using straw bales; salvaged wood is also used throughout. We chose this home for primarily for its integration with its surroundings; even squirrels and lizards have taken up residence in this home! Whether it was a disappearing skyscraper, an underground school or a Wal-Mart-turned-library, commercial projects in 2013 showed a flair for creativity, sustainability and thoughtful design. To close off the year, we put together a list of our ten favourite restaurants, skyscrapers, offices, hotels and more. Restaurants and cafes this year were all about branding and identity. 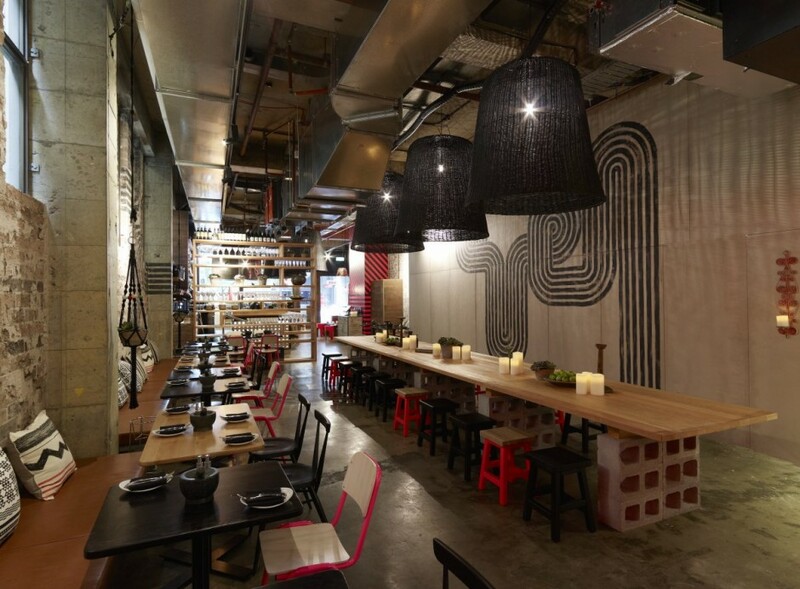 Our top choice in 2013 was Mejico, a Syndey-based Mexican restaurant and bar. The interior features an industrial inspired design pulled together with bold graphics, thick textures, and layered patterning. Honourable mention this year goes to Sushizilla, another Australian entry. This Japanese restaurant echoes the aesthetics of neon-lit Tokyo, setting vibrant colours against a polished concrete backdrop. Not to be outdone in the colour department, Cafein bistro combines primaries and rich pastels that are as eye-catching as they are effective. 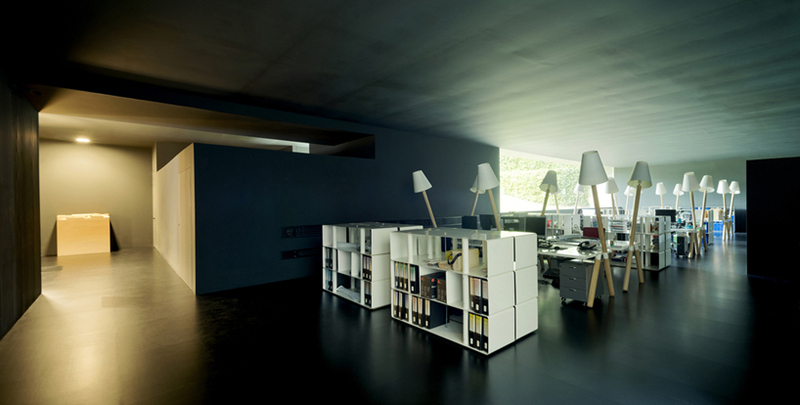 “Open-plan” was the term of the day when it came to office design in 2013. Tech companies Dropbox, Airbnb and Pinterest had collaboration and creativity (and cheekiness) top of mind when it came to their designs. Also, all three companies opted occupying existing buildings rather than building new. Converting old space was a concept that was not lost on other companies. Sempla, an Italian company, repurposed an old factory, combining modern aesthetic with heritage charm. However, our favourite workspace in 2013 was this underground former parking garage that was converted to house an architecture firm. Schools are perhaps one of our most important public institutions. For architects and designers, they can also be projects that demand thoughtful design. One design trend stood out this year: Colour. Schools in Thailand, Latvia, Germany and France feature colour palates that convey animation and activity. Mobile schools were also a recurring topic this year. A floating school in Nigeria and a school that can be self-assembled help to address education needs in the developing world. This year, the project that captured our attention was a Glasgow school designed to help children who are ‘dual-sensory impaired’—both deaf and blind. The Louisiana State Museum and Sports Hall of Fame takes our top spot this year. Its curvy interior echoes science fiction and surrealist influences. 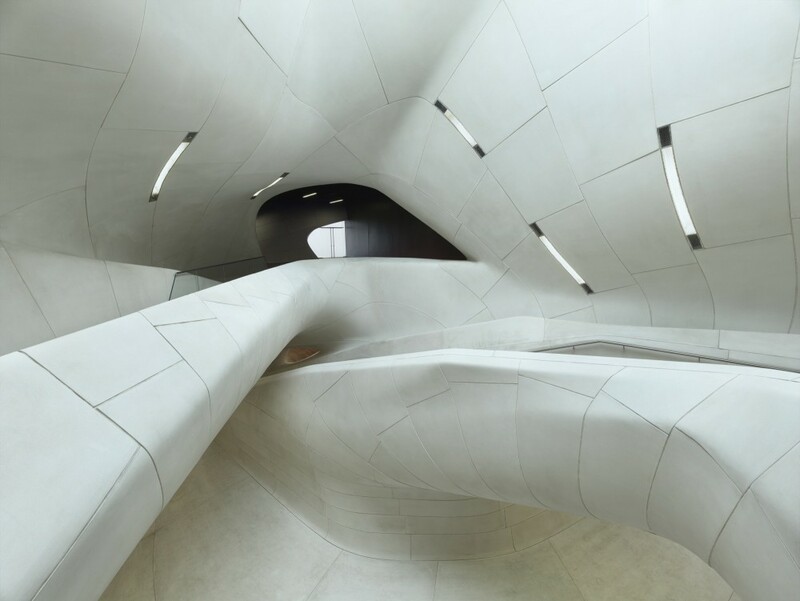 Other cultural buildings we liked in 2013 was the swooping page-like form of the National Library of Sejong City in South Korea, and the sediment-inspired Perot Museum of Nature and Science in Dallas. We couldn’t leave out this library either, which now occupies a former Wal-Mart building. With major sporting events taking place in the next few years—the summer Olympics in Rio de Janeiro and the World Cup in Brazil, as well as the 2022 World Cup in Qatar—it is no surprise that sports facilities have had so much exposure in 2013. Most infamous was the release of Zaha Hadid’s plans for Qatar’s soccer stadium. Among all the complexity, we’ve chosen a much simpler project this year. 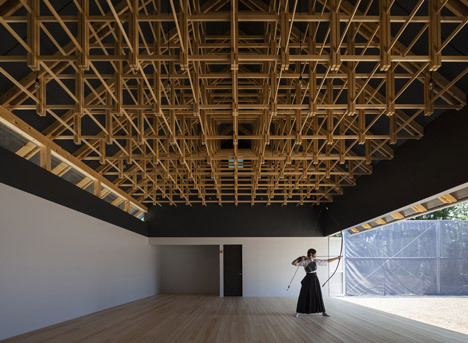 An archery hall and boxing club feature exposed timber framing that is as structural as it is beautiful. Towers and skyscraper are at the forefront of exciting architecture. So there was no doubt that the top spot had to go to the world’s only invisible skyscraper. 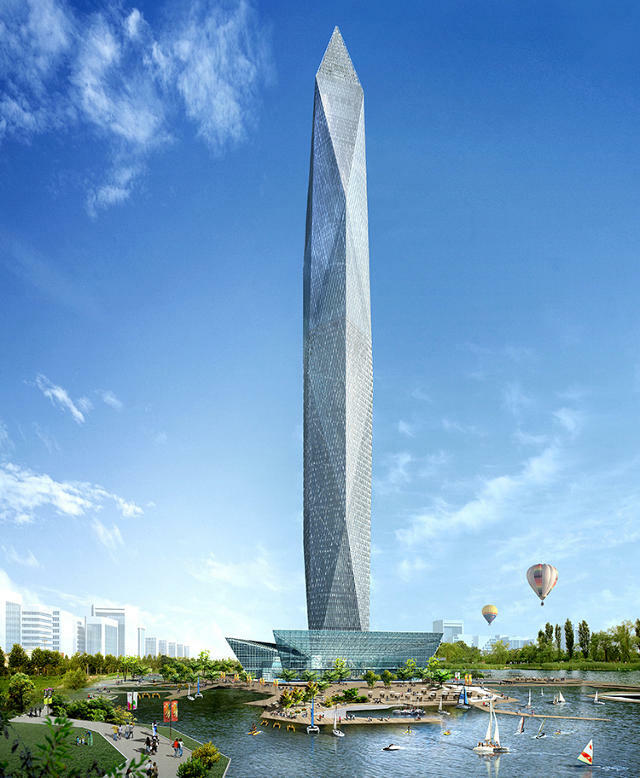 Seoul’s daring new addition to its skyline will be a technological marvel (although it might prove a nightmare for air traffic controllers). Other trends in skyscraper design this year included green walls and unusual, natural forms like these concepts from Toronto and Berlin. But this category would not be complete without mentioning the new addition coming to Vancouver’s skyline—the twisting 52-storey residential tower designed by BIG. In transportation, airports often steal the limelight when it comes to architecture and design. Queen Alia International in Amman, Jordan features a bulbous concrete canopy while this local Georgian airport was built in just three months. Our top transportation hub in 2013 was, surprisingly, not an airport. 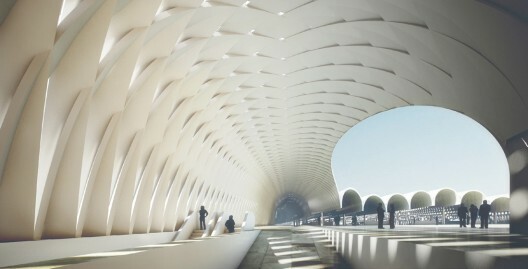 Herzog & de Meuron’s proposal for the revitalization of Flinders Street Station in Melbourne captured our attention this year. Its simple design and dedication to public space, as well as its sheer beauty makes it our top pick in 2013. A trend we saw this year among hotels was a return to nature. Two similar designs located in Newfoundland and Iceland take advantage of rugged vistas to provide their guests with an immersive experience. Our top pick of 2013 is no different. 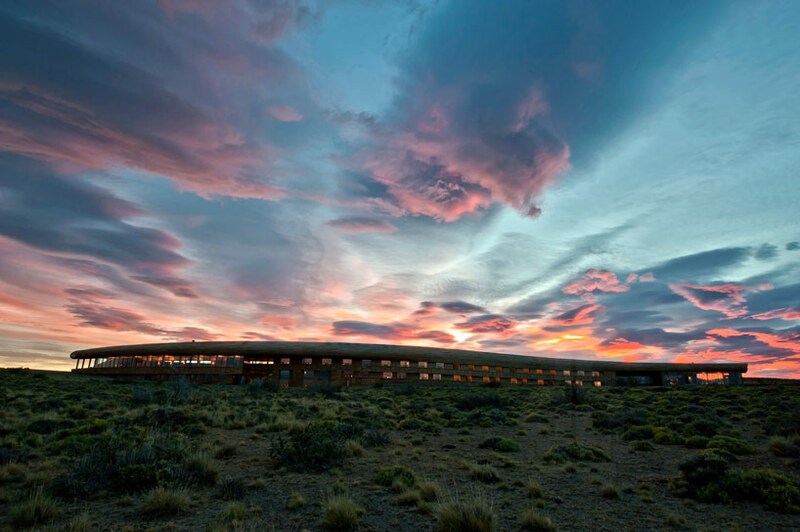 This Chilean hotel hugs the topography of its site and is built primarily of wood. The design’s commitment to sustainable materials and a respectful typology were standout characteristics. Honourable mention this year goes to this Thailand hotel that features green roofs and infinity pools. Don’t have time for hotels? The FoldInn is your mobile solution to a restful nights sleep! Believe it or not, parking garages were big in 2013. Although we’d like to see fewer cars on the road our top pick this year was this cheeky garage in the Netherlands. 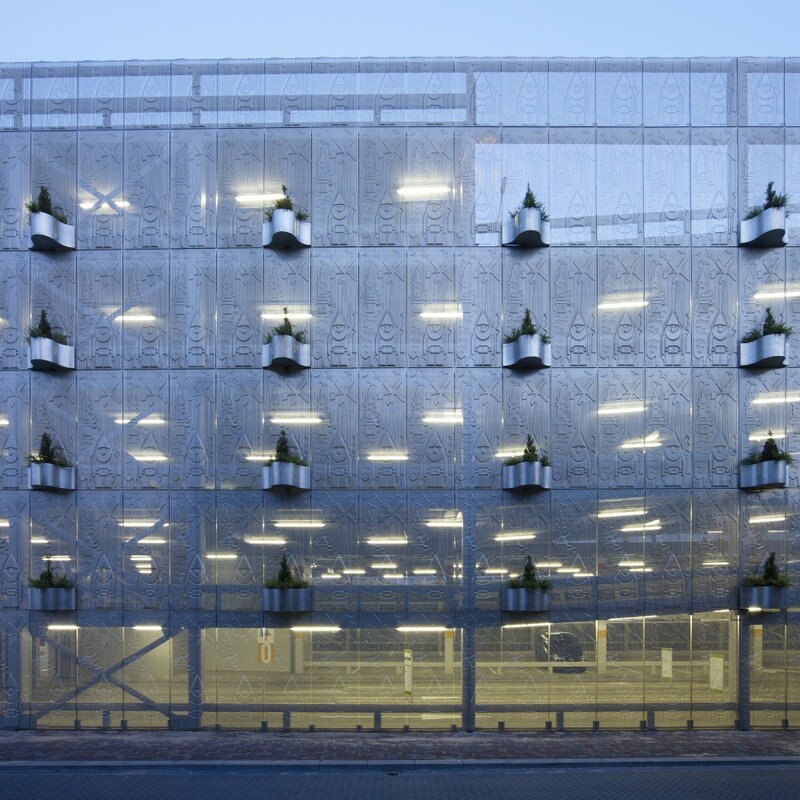 The building is wrapped up in a perforated façade featuring gnome caricatures. Public space has always been an area of fascination for us and this year, our favourite urban project was Buchanan Courtyard at the University of British Columbia. In addition to providing a space for students, this project also helps to filter and recycle rainwater and has applied for LEED Gold Certification. This year was a busy one for urban architecture and public space. Three projects in New York and Auckland embraced temporary architecture—being branded as ‘urban parasites’ in the process. Another project that had us raising our eyebrows was this space-saving home design that crams a residential units in narrow spaces between buildings. 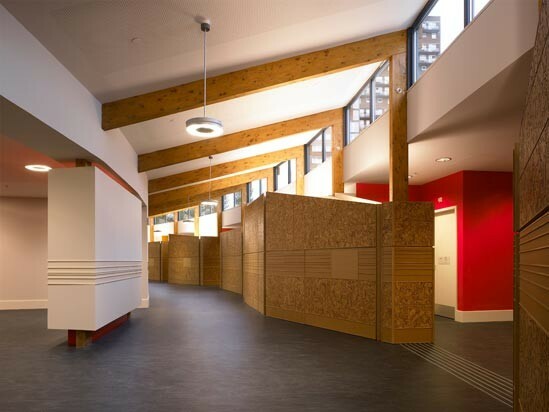 Overall, 2013 was an exciting year for commercial and non-residential design. As we look to 2014, we can’t help but feel optimistic that thoughtful design will continue to help shape and improve our built environment. Thanks for reading! Stay tuned for next week’s Top 10 Homes of 2013! For those looking to add a bit more colour to their day, here’s another look at Vancouver’s quirky rainbow crosswalks.